Fall Wildflowers. Images of wild flowers growing in National Forests. USDAgov flickr. Look up into the trees and you'll find beautiful vistas of leaves changing color in different regions of the United States in the fall. Look down at the forest floor and you'll find an even greater array of colors. There are approximately 20,000 wildflower species in the United States. The U.S. Forest Service has many stories to share with you about our wildflowers. For many of these wildflowers, fall is the time of the year when they flower. Who can resist the blues and whites of asters, the yellows of goldenrods and sunflowers, and the spectacular red of cardinal flower? The Caribou-Targhee National Forest stretches the length of the eastern edge of Idaho and includes the western backbone of the Teton Range in Wyoming. As the days turn cooler, the perennial treat of fall's panorama of spectacular colors offers many opportunities to enjoy the pageantry on the Nantahala and Pisgah National Forests in North Carolina. Every fall, nature puts on a dazzling show across America's great outdoors for all of us to see. Whether you're an adventurist or someone who just likes a good road trip, national forests areÂ the places to be this time of year. Sometime after Labor Day when the kids go back to school, I begin to notice subtle signs of fall. This can be a welcome relief after a hot summer with temperatures reaching north of 100 degrees. But the days are getting shorter, and I miss the lazy summer evenings spent outdoors, listening to the sounds of nature. Autumn has emphatically arrived on the Northern Great Plains and the Dakota Prairie Grasslands. The prairie is transitioning from the exciting greens of summer to its fall wardrobe. As we celebrate the autumn season and as holidays approach, many of us will also be thinking of family gatherings and special menus which may include the colorful and healthy cranberry. Knowing some of the plant's history may just help us enjoy this fruit even more. Perhaps itâs just me, but I think many people are relieved to see the fall colors and relish the cool mornings here on the Black Hills National Forest. Several plant species around Montana make their transition from summer to winter unique. 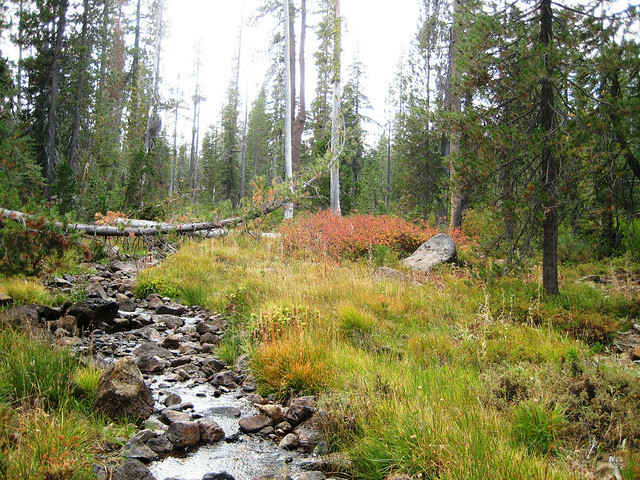 This is highlighted in the Bitterroot National Forest. I dreaded October as a child. Growing up on the Oregon coast, October promised rain and more rainârain on my birthday, rain on Halloween, rainy rain rain. Did you ever think about fall colors in Alaska? Now’s the time with autumn foliage colors peaking from late August to early October in Alaska’s Tongass and Chugach National Forests. In Colorado, fall arrives in different ways and at different times around the state. Fall can be a spectacular time of year here, with gorgeous colors set against a dusting of white snow on the higher peaks and the occasional late blooming wildflower. Fall is a wonderful time to find an amazing array of wildflowers on your national forests and grasslands. Early morning hikers who are out and about in the hardwood forests of the south-central and eastern United States may be lucky enough to observe the second flowering of dittany (Cunila origanoides).